Tipper w/ Neil Romano, Chairman of the National Organization on Disability. 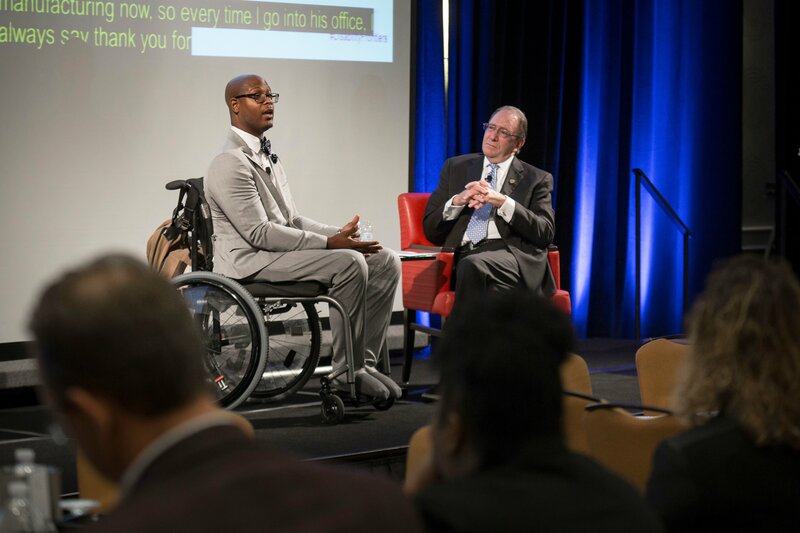 Tipper was invited to the New Frontiers in Disability Employment Forum Hosted by the National Organization on Disability (NOD) in Falls Church, VA. Tipper was featured in a fireside conversation with Mr. Neil Romano who is the Chairman of the NOD. Tipper was asked to share his experiences and insights on how companies can improve their disability employment rates, retention of disabled employees and how to recruit disabled employees. The conversation lasted a little over an hour and took place in front of an audience of over 50 different companies across the United States.